Booking by email is preferred, however, if email is not possible please telephone 0207 219 4046. Please note that Barry holds separate surgeries for Asylum and Immigration matters. They are run on a first-come, first-served basis. There is no need to book an appointment. Asylum and Immigration Surgeries are held between 9:30 and 12 noon. You are advised to arrive before 10:30 to ensure that you are seen on the day. On arriving at the Civic Centre, please sign in at the reception desk with your name and postcode and you will be advised where to go. 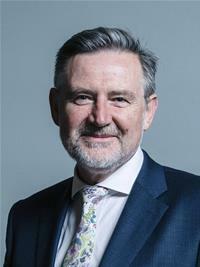 Barry Gardiner, MP has held his seat since 1997. He represents the Brent North constituency. In 2010 the boundary to this constituency was changed by enlarging it towards the south but it is still known as Brent North constituency.